The Epson WorkForce Pro multifunction WF-M5799 and single-function WF-M5299 are A4 mono printers. 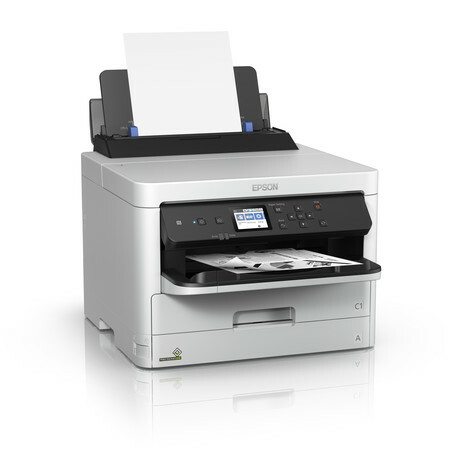 These printers are suitable for businesses where a mono printing solution is required for use in workgroups with a high print volume. Their ink yield is up to 40,000 pages, while offering minimal user intervention. This boosts productivity, and the no-heat and no-warm-up printing process also supports flexibility that includes labels and envelopes. According to the company, these models use up to 87% less energy than comparable laser models, helping to reduce environmental impact and lower energy bills. The printers have a zero-second warm-up time and a first-page-out time of 4.8 s.
The printers offer a suite of software solutions and workflow tools. Support for Google Cloud Print and Apple AirPrint keeps a mobile workforce on the move, while the company’s Print Admin and Device Admin software provides IT managers and financial controllers the tools to effectively manage and control their printer fleet. The Open Platform supports third-party cost recovery and follow-me print solutions such as PaperCut, while Document Capture Pro software enables simple yet intelligent document management of scanned invoices, purchase orders, delivery dockets, contracts and other important business documentation. 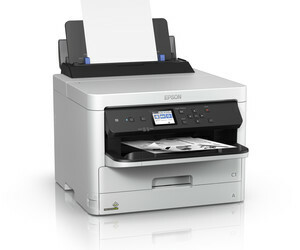 I am interested in Epson WorkForce Pro WF-M5799 and WF-M5299 A4 mono printers .